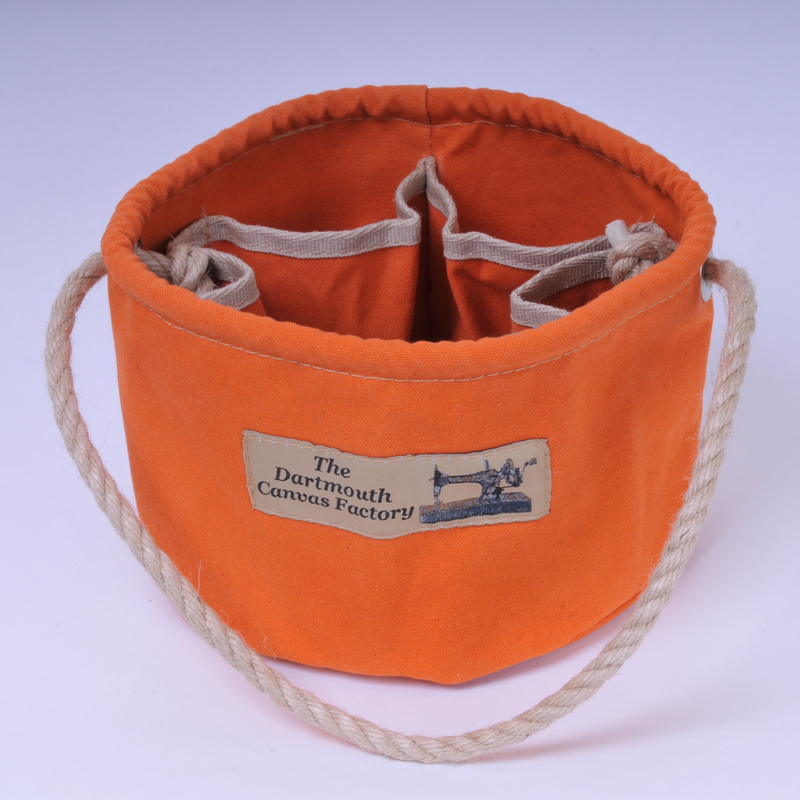 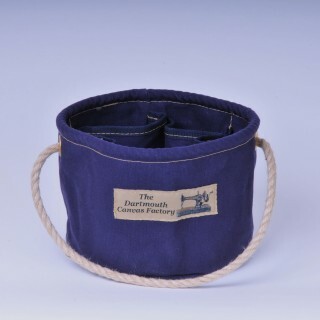 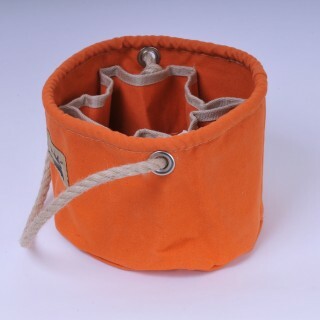 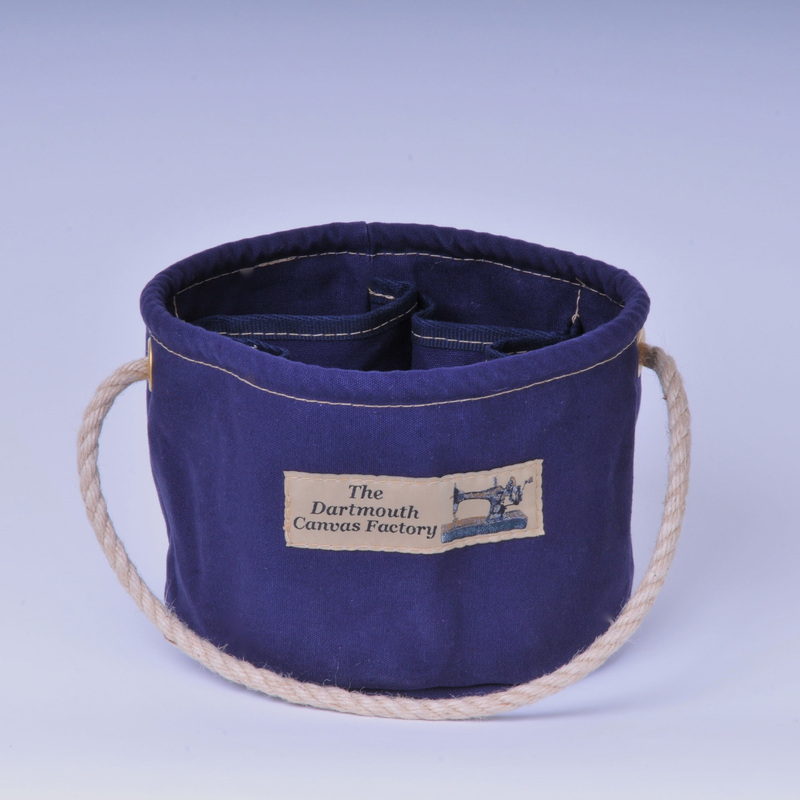 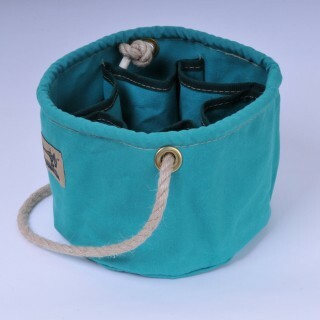 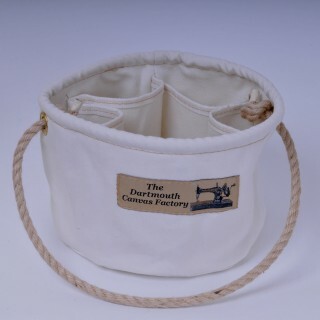 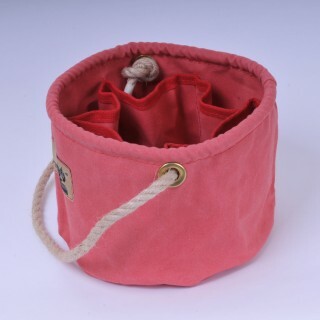 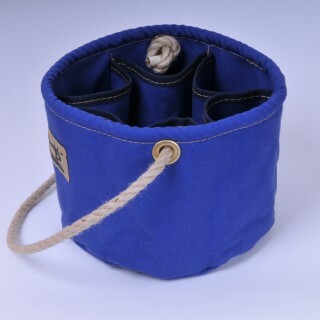 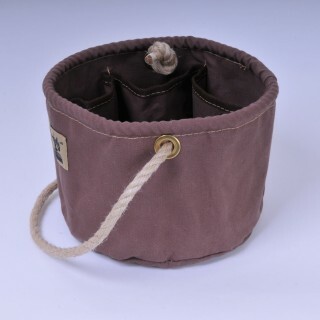 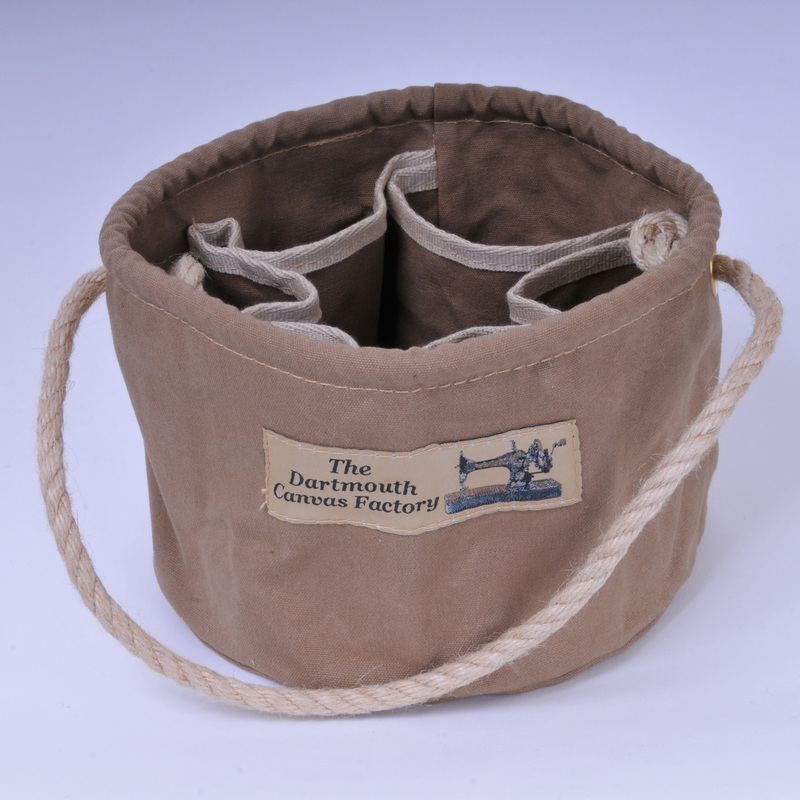 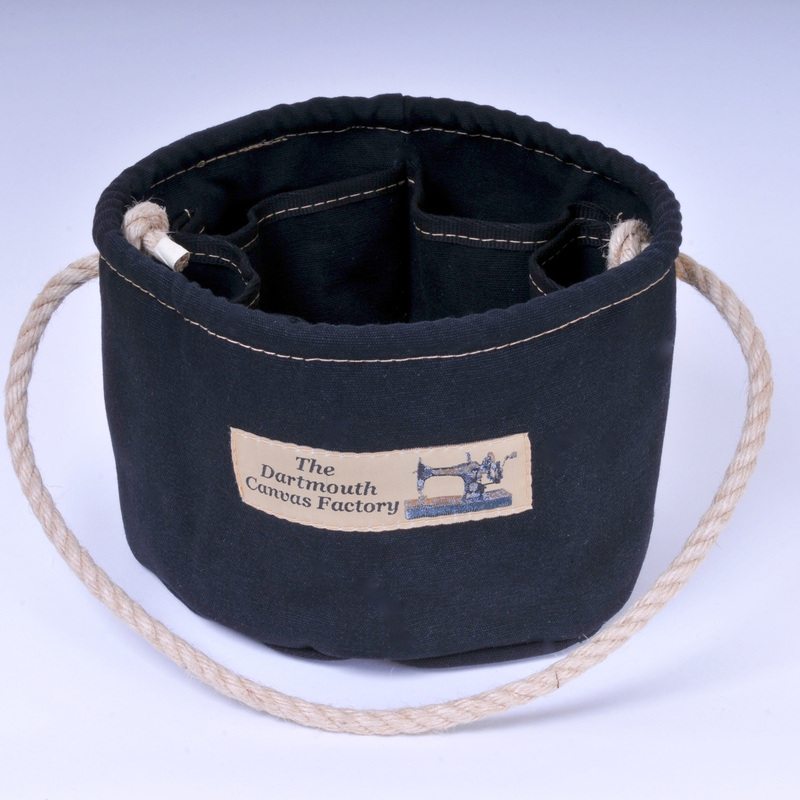 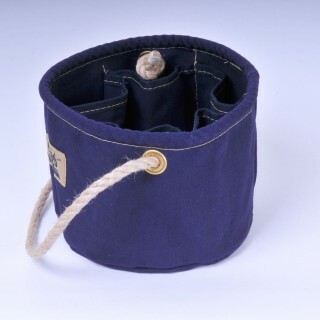 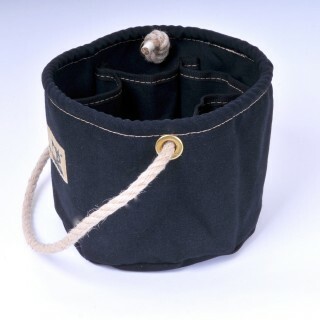 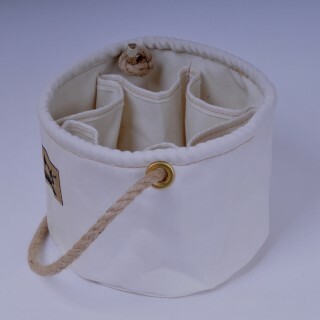 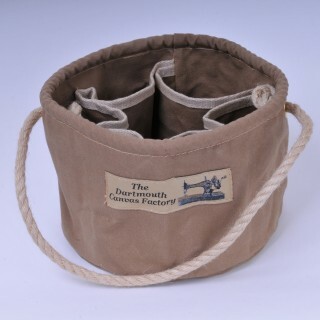 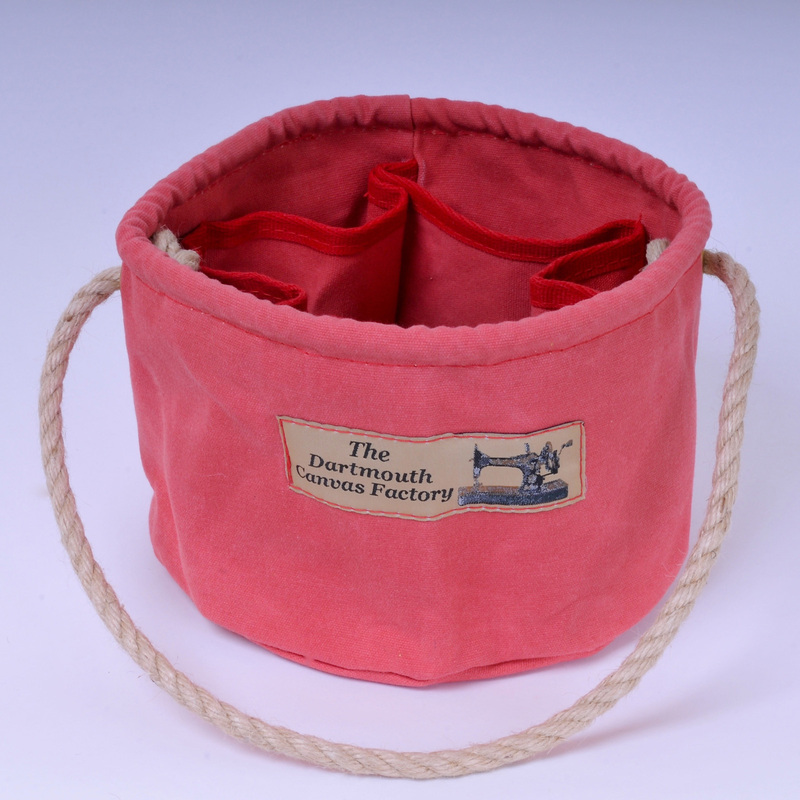 Beer bucket, a canvas bucket with pockets to hold each beer bottle individually. 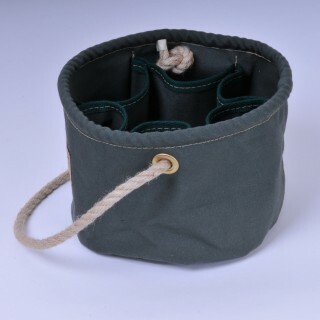 Holds six beer bottles and also has room for a wine bottle in the centre. 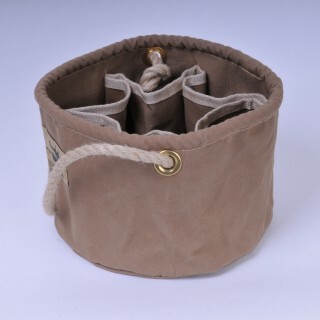 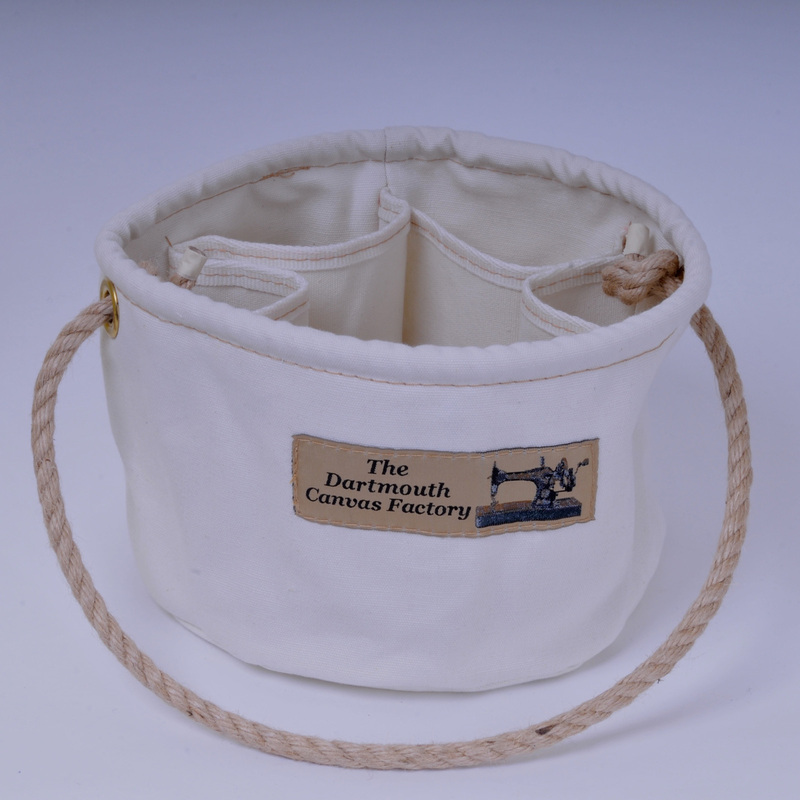 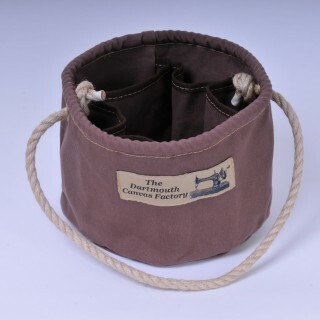 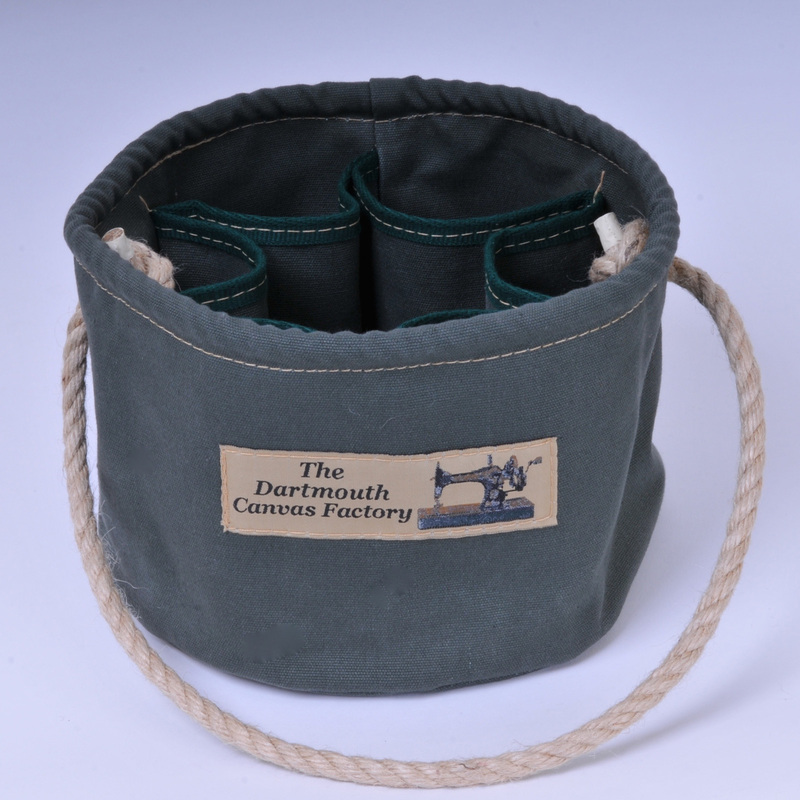 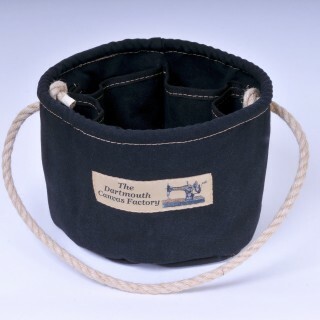 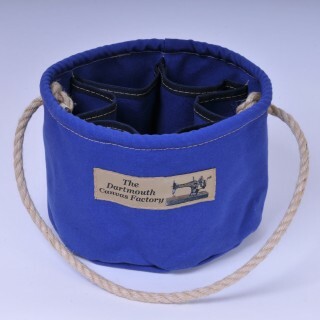 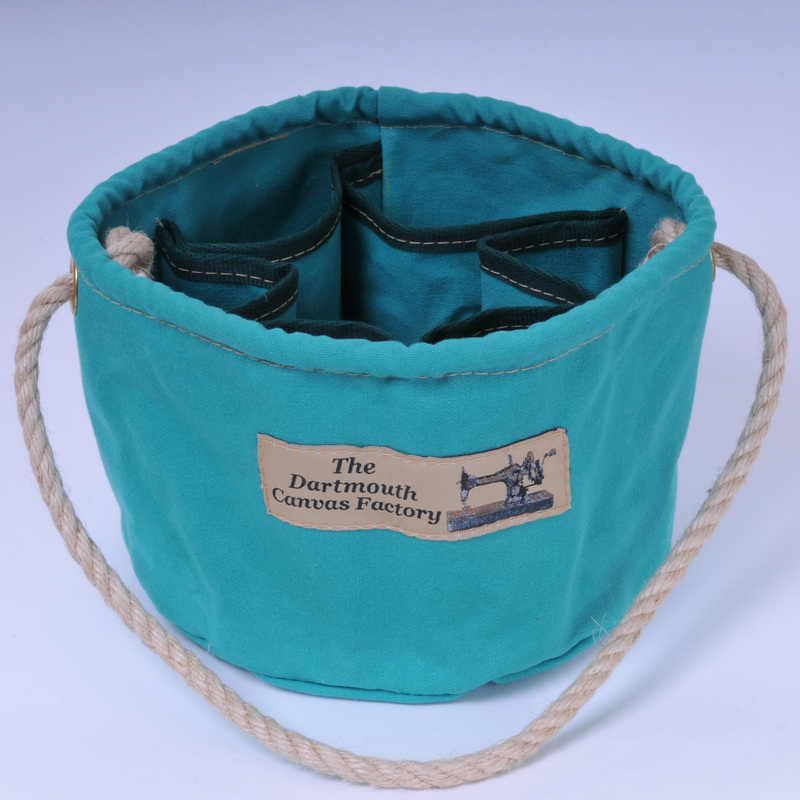 The top hem is rope reinforced and has two brass eyelets and a natural hemp carry handle.